Newport Central Catholic High School named Stephen Lickert as its new head football coach. Coach Lickert will fill the vacant position left by Dan Wagner who announced his decision in December to step down. Wagner, a 1978 graduate of Newport Catholic began his coaching career at Newport Catholic in 1980 and was the Head Coach since 2013. Lickert graduated from Highlands High School in 1997, where he played football and was a member of the 1996 KHSAA State Championship Team and the 1995 KHSAA State Finalist Team. Lickert graduated from Georgetown College in 2001 where he excelled in football and was a member of the 2000 NAIA National Championship Team and 1999 NAIA National Finalist Team. Since 2011, Lickert held the position as head coach at Campbell County High School where he led the Camels to two district championships and five playoff wins. Making school history, the district championship season in 2011 was the first district title in 31 years followed by a back to back district title win in 2012. Coach Lickert was named the Kentucky Football Coaches Association 6A District 6 Coach of the Year. “I am extremely excited and blessed to have this tremendous opportunity to become the head football coach at Newport Central Catholic High School. I want to thank Mr. Dawn and Mr. Ryan for their commitment and belief in me to lead this tradition-rich program with such a proud history and commitment to excellence. Lickert’s coaching career began in 2004, at Dayton High School. He was selected as the 2006 KFCA District Coach of the Year and received the NKFCA Owen Hauck CLIFF Award for his ability to lead the Green Devils to the playoffs and a winning season. In 2007, he took over the football program at Holmes High School and led the program to District Championships in 2009 and 2010, which were the first district championships since 1978. He was selected as the 2009 NKFCA Owen Hauck CLIFF Award winner and the 2010 KFCA District Coach of the Year. Under his leadership, the team was awarded the Northern Kentucky Officials Association Sportsmanship Award. 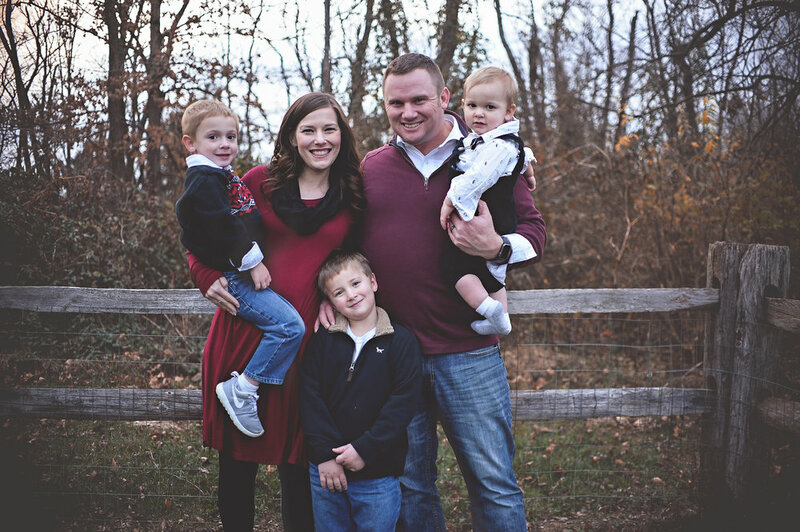 Currently, Stephen resides in Fort Thomas, Kentucky with his wife Sarah, his sons, Finn (5), Carter (3), and Nolan (1).